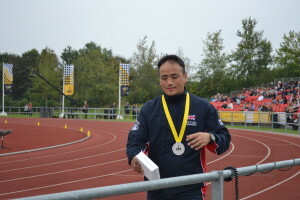 Rfn Kushal Limbu, Ex 2 RGR won a Gold Medal for GB on the 200 meters Mens final and grabbed a Silver Medal on the Mens 100 meters final, missing the gold by fraction of a second in the Invictus Games that was held yesterday at the Lee Valley Athletic Centre in London. 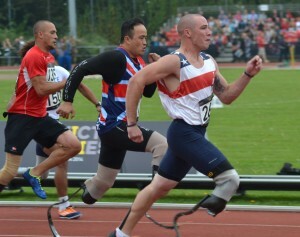 Over 400 competitors from 13 nations are taking part in this international sporting event for wounded, injured and sick Servicemen and women. Ex Rifleman Kushal who lost both his legs below the knee in Afghanistan, has his sights firmly set on the next year’s Paralympics. 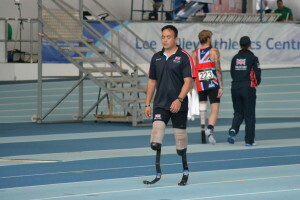 Kushal had to have his legs amputated below the knee when his vehicle struck in an IED in Musa Qala on 15 November 2008. 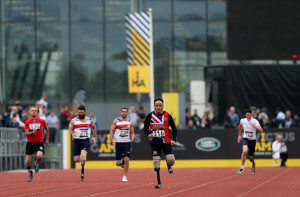 Furthermore, Vinod Budhathoki, 29,(Retd) 1st Royal Gurkha Rifles who lost his legs and an index finger in May 2010 after stepping on an IED in Helmand Province is also taking part on the Cycling event on 13 Sep in the Lee Valley VeloPark track while Anil Gurung, an Ex- 2RGR Gurkha together with LCpl Netra Rana, a serving Gurkha from 1 RGR are teaming up together with their British counterparts for the Sitting Volleyball representing GB, which is scheduled for 14 Sep in Queen Elizabeth Olympic Park. 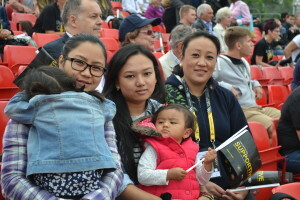 Ticket Cost for the Sitting Volleyball is divided into two sessions. 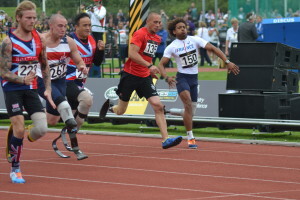 Session 1 (0830- 1130 hrs) and Session 2 (1300-1600 hrs) costs £12.85 each but if you wish to stay through out the day, you can buy a full day ticket which costs £25.70 For further info about the event, please click here.